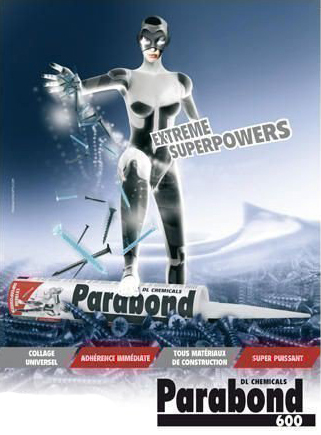 Parabond 600 is a fast-curing, flexible adhesive mastic based on hybrid MS-polymer used for the bonding and sealing in building and engineering industries. This product has excellent adhesion without the use of a primer, even on slightly damp surfaces. Parabond 600 can also be used on alkali surfaces, although porous surfaces should be treated with primer DL 2001 in advance. There are no bubbles or gas being produced on porous materials. This particular mastic is a non-staining product.